So it’s officially December and Christmas celebrations (and garish decorations) can officially begin! It also means Christmas shopping, which means stress and rushing about trying to catch the shops after work before they close. But fret not – Alive after 5 is here. 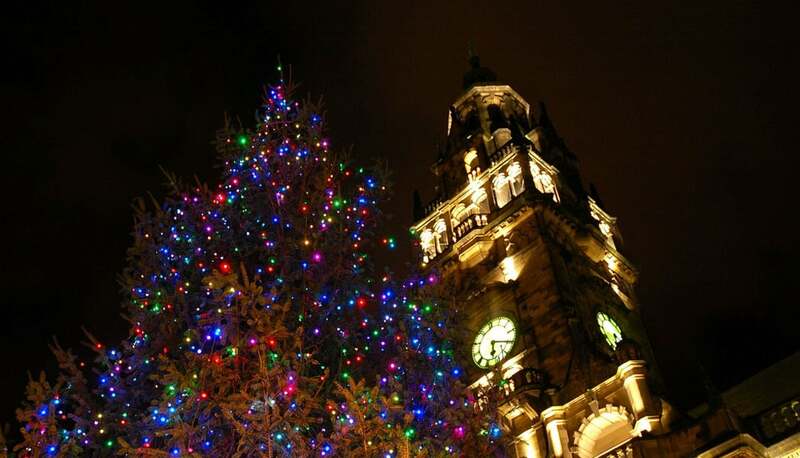 Authentic, festive Christmas market stalls line Fargate and the Peace Gardens, selling a variety of treats from luxury fudge to tapestries, trinkets and jewellery until 8pm. Thursday nights are now the late night shopping nights in Sheffield city centre as most will stay open ‘til 7pm, giving you a more enjoyable and relaxed Christmas shopping experience. You must stop off at Hotel Chocolat on Fargate for their chocolate infused mulled wine. For more offers on food, drink, entertainment and shopping, visit the Sheffield After 5’s website.